Celebrating 142 Years of God’s Faithfulness | H.B. Charles Jr. 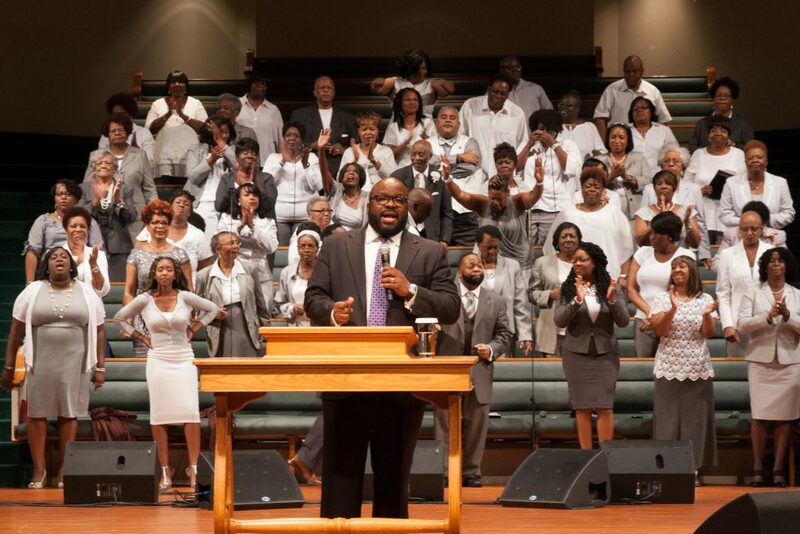 Yesterday, the Shiloh Metropolitan Baptist Church celebrated 142 years of God’s faithfulness! Many congregations do not make a big deal about church anniversaries, others ignore them outright. A church anniversary observance is often dismissed as another annual day, steeped in church tradition, and not Christian mission. I beg to differ. Statisticians report that some 4,000 churches in America close each year. Every week, multiple congregations – for one reason or another – meet for the last time. As seeing another birthday is not to be assumed or taken for granted, so it is with church anniversaries. Every year a church lives is another expression of the goodness, power, and faithfulness of God. When my family and I moved to Jacksonville in 2008, the Shiloh Church was in a storm, not of its own making. Many began to write the congregation’s obituary. To be honest, the night I knew the Lord was leading me to accept the call to become Shiloh’s new pastor, I cried uncontrollably the entire night. I felt the Lord dragging me away from my home church to go across the country to preside over a congregation’s funeral. And I couldn’t understand why. But I couldn’t have been more wrong. The Lord sustained Shiloh through the storm. When I began my work here, people would say, “Oh, so you’re the new pastor of THAT church.” Praise God that Shiloh is no longer identified by its past challenges. The Lord has given this old church a new reputation in the same city! Several years ago, we were introduced to another church that was in trouble. What began as a discussion of land acquisition became the marriage of two 100-plus year old congregations – one predominantly black, the other predominantly white. In January 2015, the Ridgewood Baptist Church became the Shiloh Church of Orange Park. And we praise the Lord for the lives that have been changed through our expanded work! 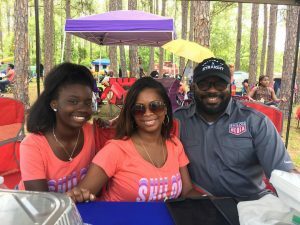 We celebrated our 142nd anniversary this weekend with a church picnic, where we enjoyed one another’s company and got to know one another better. It was great just to be together. On this past Lord’s Day, we continued our celebration in worship. Kim McFarland, known for her lead vocals on multiple albums by Rev. Milton Brunson and the Thompson Community Singers was our guest singer. 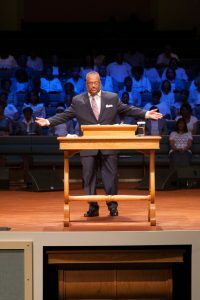 Pastor Fred Luter Jr. of the Franklin Avenue Baptist Church in New Orleans and former President of the Southern Baptist Convention, was our guest speaker. What a day of worship! In all four services on both campuses, we enjoyed a wonderful day of high praise, strong preaching, and warm fellowship. For almost a century and a half, the Shiloh Metropolitan Baptist Church has been a witness of Christ in the heart of Jacksonville. Who knows how many people have heard the gospel because of the Shiloh Church? Who knows how many unbelievers have trusted the Lord Jesus Christ for salvation because of the Shiloh Church? Who knows how many lives have been changed forever because of the Shiloh Church? We gratefully stand on the shoulders of those who have paved the way for us today. We are grateful for all the Lord is doing in us, for us, through us, beyond us, and in spite of us! And our dreams are even greater than our memories!